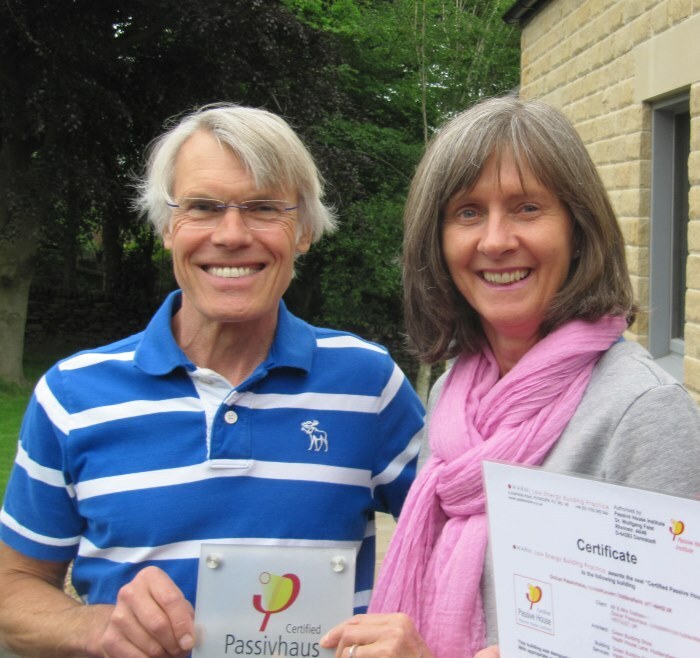 Angie and Paul Dallas explain why opted for a Passivhaus, and the benefits of getting involved with the build. Angie and Paul had been looking to build a comfortable, energy efficient house that they could retire in. There was no issue with finding land as their existing house had enough land available, albeit with its own planning challenges. Angie says that the planners weren't necessarily against their plans, but the Highways department had to consider the problem of access because of the limited number of houses that could be on their unadopted road. The house is in a conservation area so that presented its own challenges, and there were a number of trees in their garden which had preservation orders on them. After initially having their application rejected, they won on appeal in London. They did appoint a planning consultant to help with the process but with the benefit of hindsight they think they should have appointed him earlier and benefited from his expertise in areas where their architect was struggling. 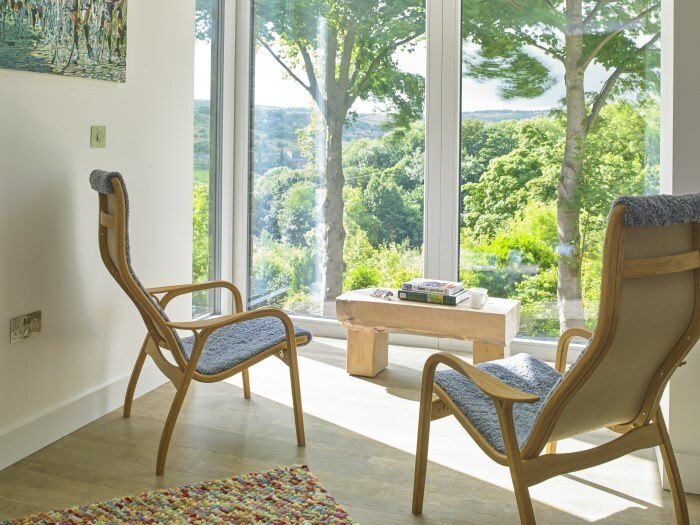 It was actually on a trip to look for triple glazed windows that Paul started chatting with one of the directors of the Green Building Store who explained the differences that Passivhaus had from normal building practices. 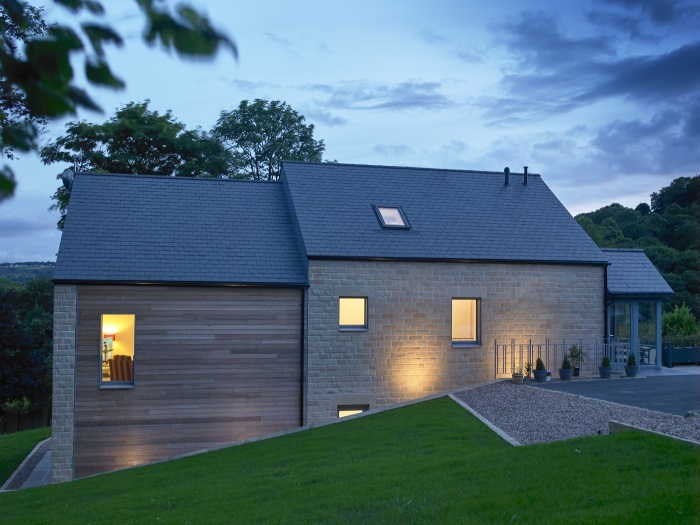 Coming away from that meeting Paul was convinced that, even if they didn't strive for the full Passivhaus standard, he wanted the building to at least use the principles of high design quality. Deciding to pursue this approach meant some design changes to their original plans. The amount of glazing had to be adjusted together with the orientation, but the actual size and construction wasn't altered. 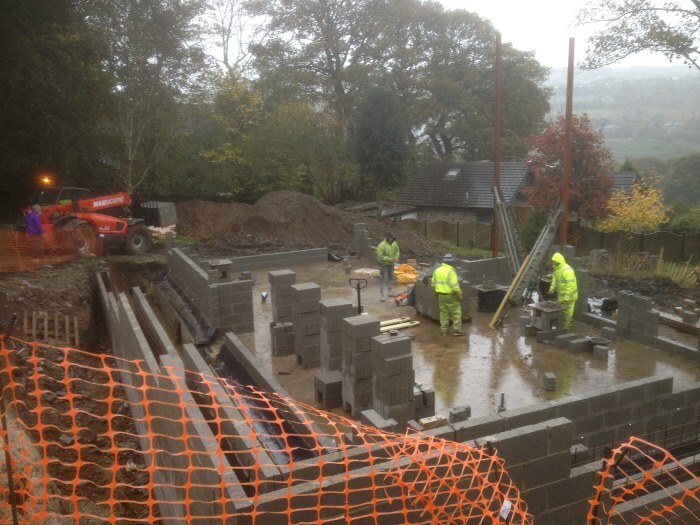 It had always been important to Paul to be actively involved in the construction of his house, however once the decision had been made for Green Building Store to take on the project to Passivhaus standard he was unsure what his role would be because his knowledge of the area was very limited. 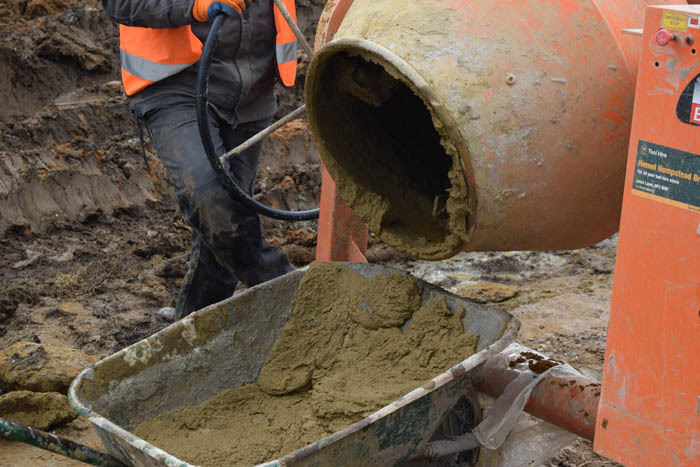 Whether Paul would be able to assist with the labouring was a decision for the building team, and Paul was very careful to take his time and show that he could muck in and not be a pushy owner. Eventually he was invited to join the team and he relished learning on the job and taking their instruction. 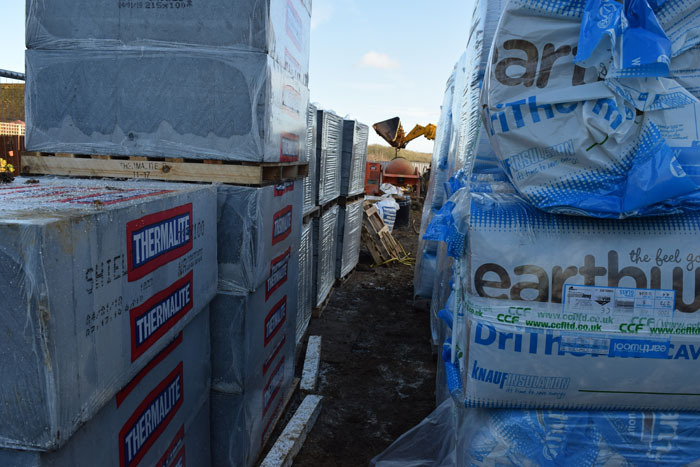 One of the greatest challenges that Paul found was working on the site throughout the British winter. 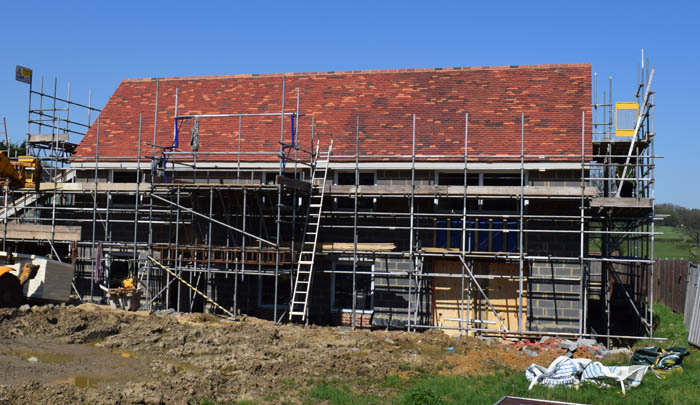 If the roof could have gone on during the summer months it would have been a much easier build. 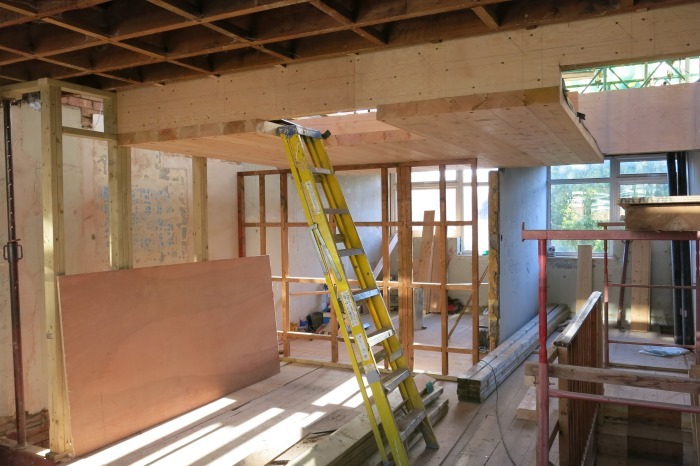 A key benefit of Paul being on site was that if a problem arose or a decision needed making, it could be taken very quickly between himself, the foreman and Green Building Store in the office, which he credits with helping to minimise delays. 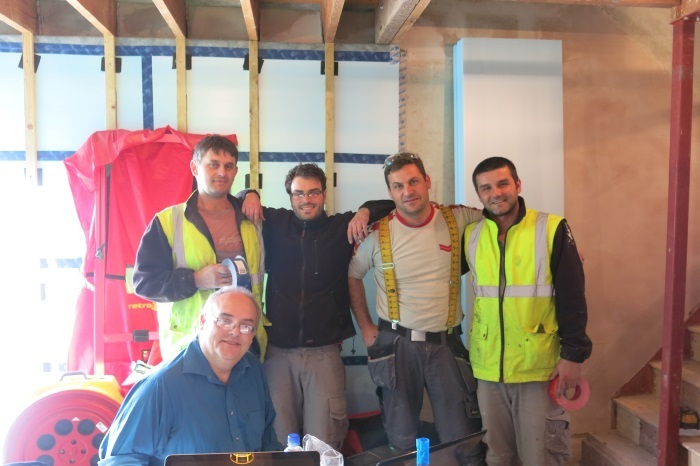 Paul found the camaraderie of being on site extremely enjoyable and believes the pride in the house afterwards far outweighs the efforts of doing it. The temperature of the house remains fairly constant and the mechanical ventilation heat recovery system means that the air quality is good everywhere. Angie also notes that it seems to stay cleaner and that since having pollen filters put in she has also seen health benefits compared with their old house. Their first architect, although designing a great scheme, didn't have the time to take it from there. Paul and Angie wish they had taken time to research, interview and appoint a replacement architect but instead they appointed someone on recommendation, who professed to be an architect but actually wasn't. He claimed that the original plans couldn't be built, but it took Angie and Paul several months (and £6,000) to have the courage to dismiss him and get somebody else. Thankfully the next architect they appointed confirmed that they would be able to build to their original plans. Paul emphasises the importance of researching specialists and finding someone that you feel comfortable with. Deciding to use the services of an interior designer they were fortunate to have them involved at an early stage to assist with the layout of the interior and pick up on areas, such as space for hanging curtains, which would have been difficult to rectify after the construction work had been completed. Green Building Store provided them with knowledgeable and skilled builders who Angie and Paul both say were a pleasure to work with. They used their own electrician and were also happy with the services of the plumber. Paul stresses that it's important to take your time at the stage of getting your team together. They were thankful that their whole team worked well together and that they enjoyed working with them. 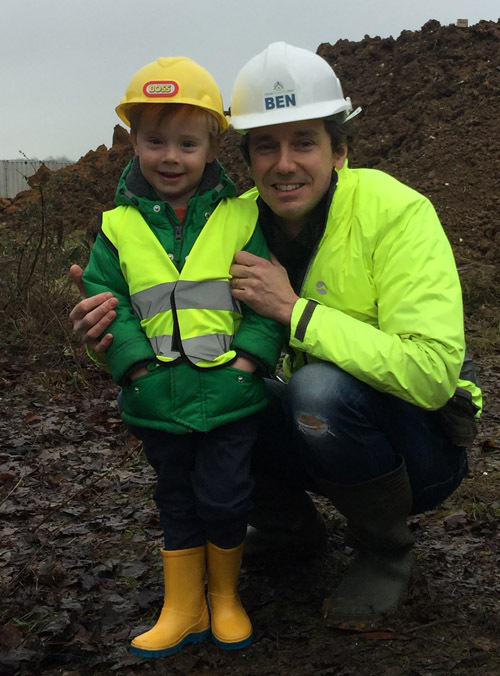 Ben spoke last week at the National Self Build and Renovation Centre show about his experiences and challenges of his own self build journey so far. Particularly this had a focus on the difficulties he has had finding land. Many of the tips and tactics he has come across so far have been collated, along with others he is yet to try, in our free module in The Hub on Finding Land. 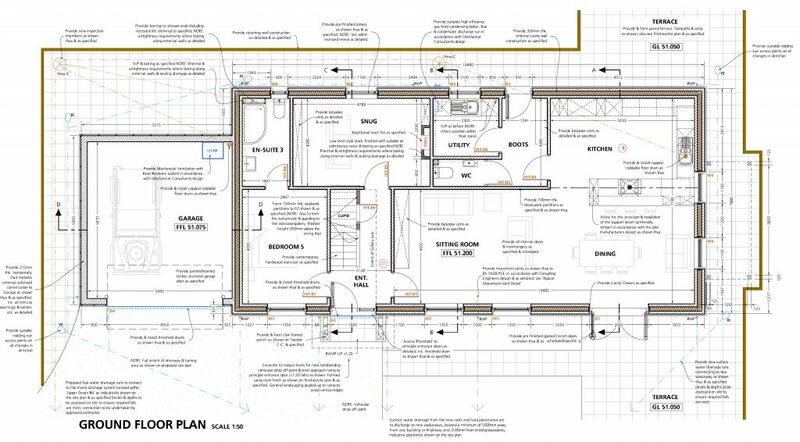 Bob Prewett, a director of Prewett Bizley Architects, shares his approach to low energy retrofits and explains why he sets energy targets on a project by project basis. 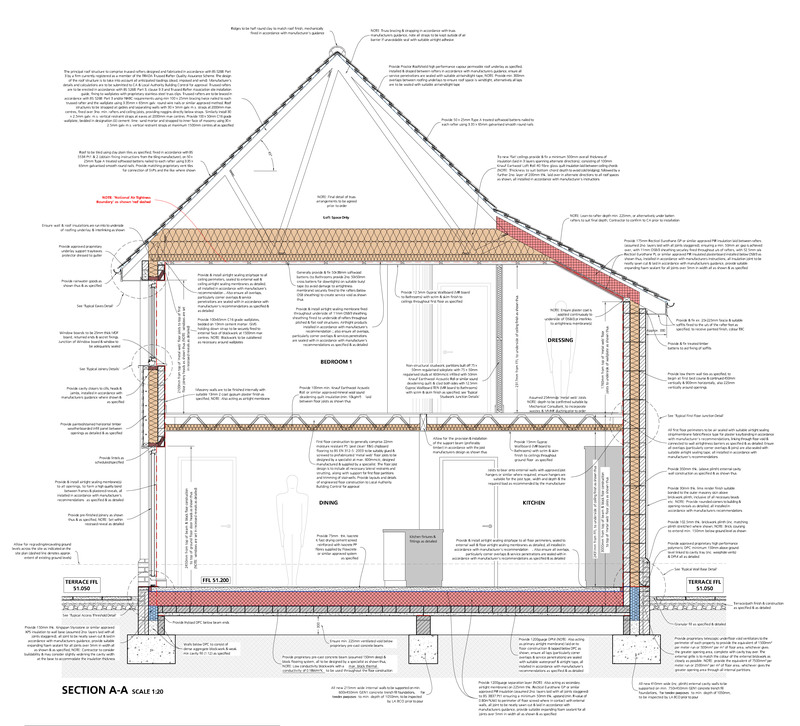 Prewett Bizley Architects specialises in low energy architecture and Bob has a particular interest in retrofit. 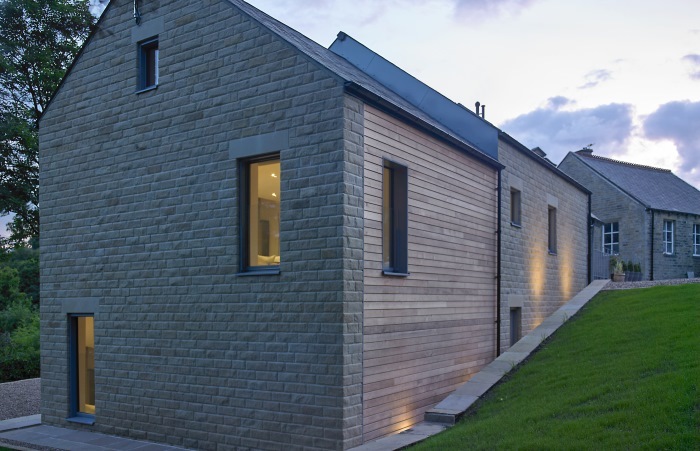 He explains that housing is responsible for around 27% of the UK's carbon emissions, so buildings of all ages and styles have a part to play in terms of energy efficiency. 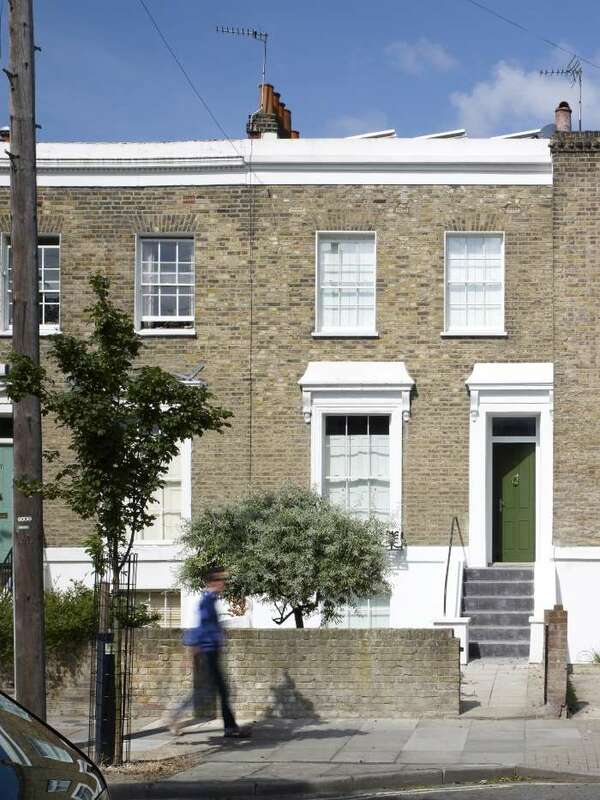 Bob's partner, Marion Baeli, defines renovation as being smartening things up to make them look good and dealing with the top 3mm of construction. 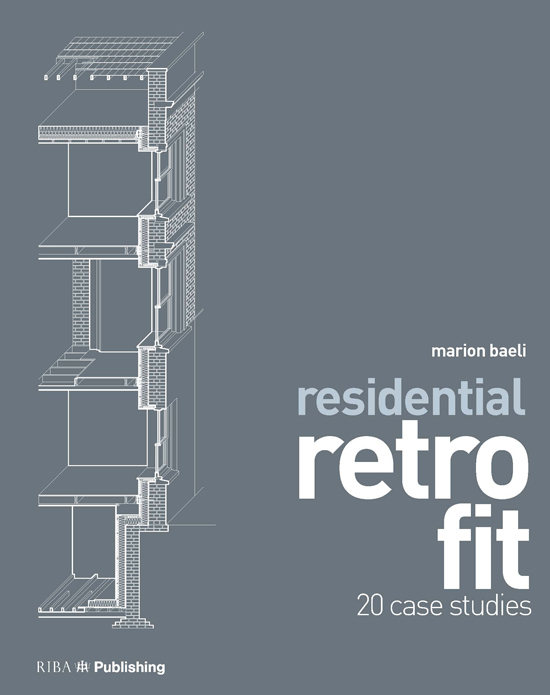 Retrofit on the other hand is about getting under the skin of things and sorting them out at a fundamental, architectural and building physics level. 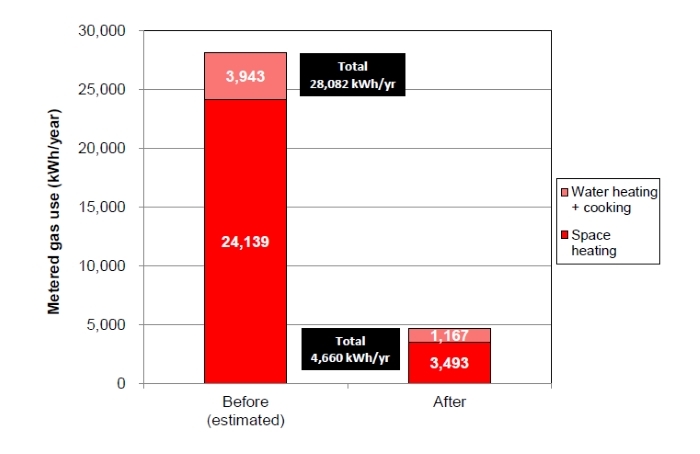 Be aware that there is no ‘one size fits all' when it comes to retrofit. Bob is concerned by evidence of the careless nature of works being carried out to some buildings which, with moisture being allowed in and then trapped, can actually be causing damage. 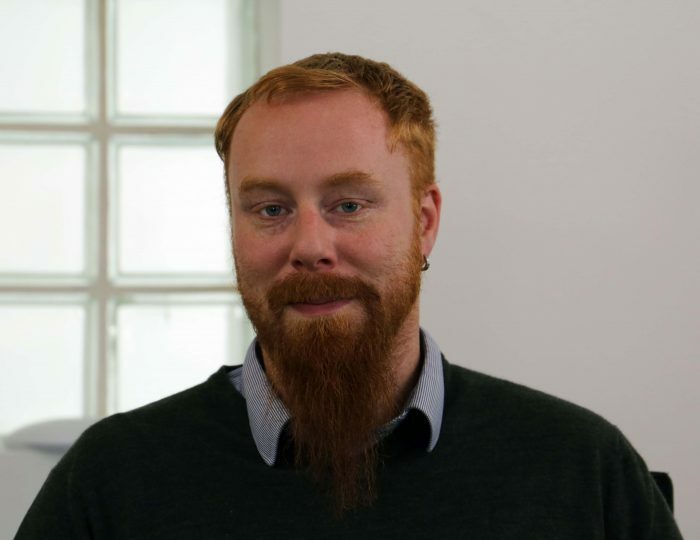 He looks at the example set by Germany on the other hand which takes a more considered approach, doing gradual, quality improvements over time, instead of trying to do multiple houses quickly and cheaply. Rather than starting off with a target value in mind, Bob believes that it is important to understand the building as a whole and take it to where it's going to sit comfortably, and not push it too hard. 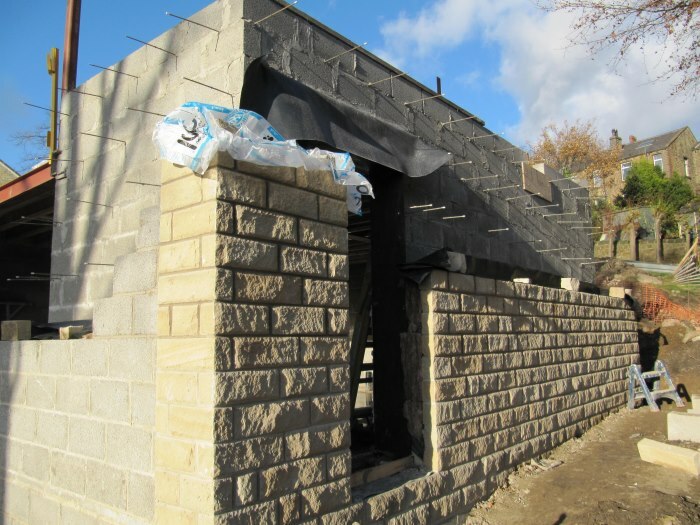 Some buildings will get to a U-value of better than 0.15 or 15kWh per square metre relatively easily, but for others, such as historic solid wall construction, they are probably not going to want to go there. Bob explains that they are interested in taking the building to where it sits happily, even if those values are a little higher. 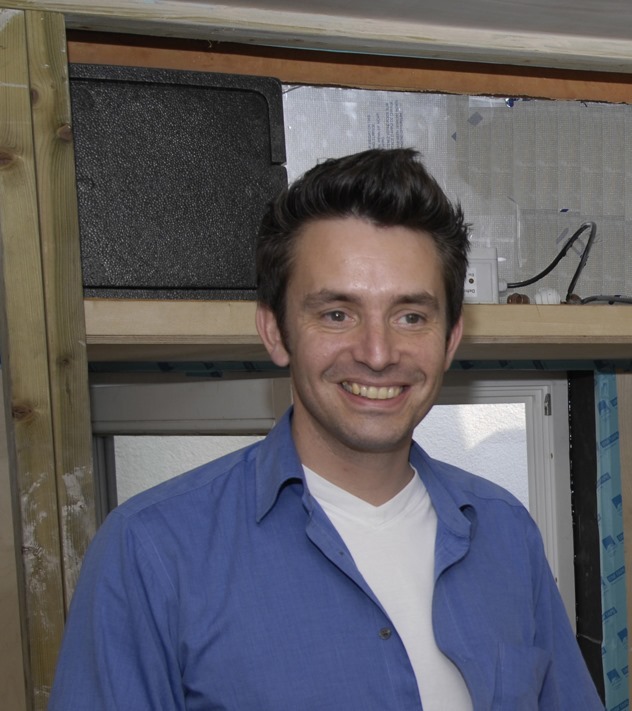 He would expect most buildings that don't have insulation or good quality windows to easily achieve a 60% energy reduction, and perhaps even going up to 90% in some cases. 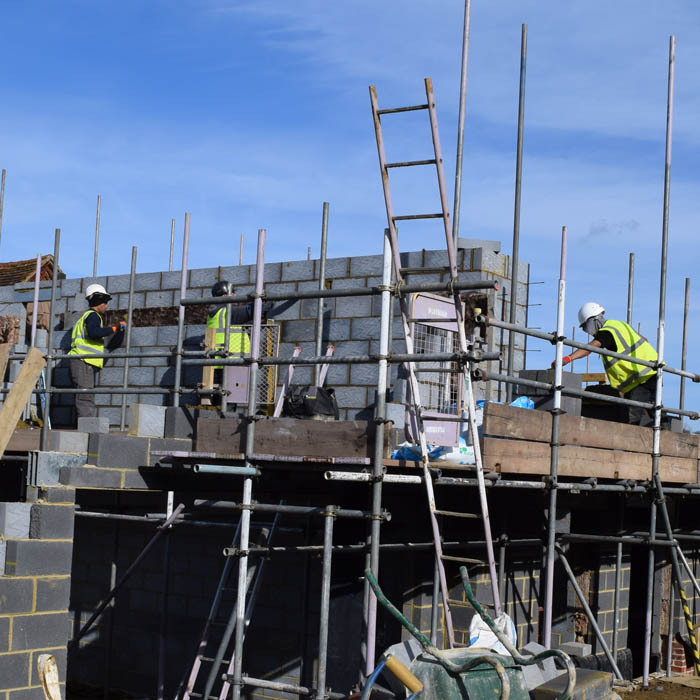 Significant energy savings will be achieved by using a holistic approach to deal with insulation, airtightness, cold bridges, windows, walls, roofs and floors. It is important to understand the building and how these elements interact and work together. Bob has purchased a 1960s small terrace house which should leave them with enough money left over to do a good retrofit. 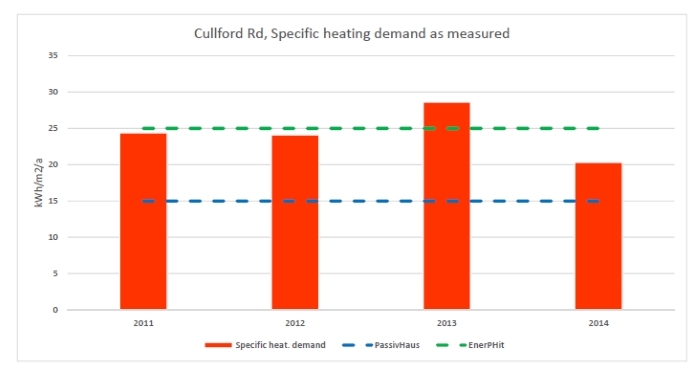 He deliberately decided against listed properties and those with planning restrictions as he felt it would be a higher risk approach with energy savings being more difficult to achieve. 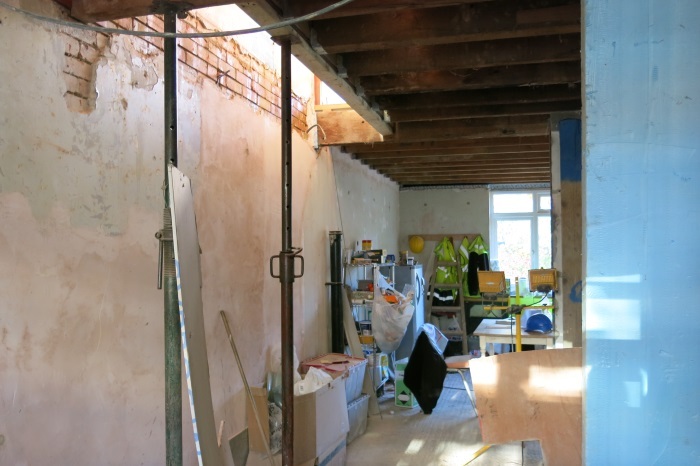 They intend to take advantage while the roof on this property is being done to pass brushes between the cavity walls and give them a good clear out before adding cavity wall insulation. 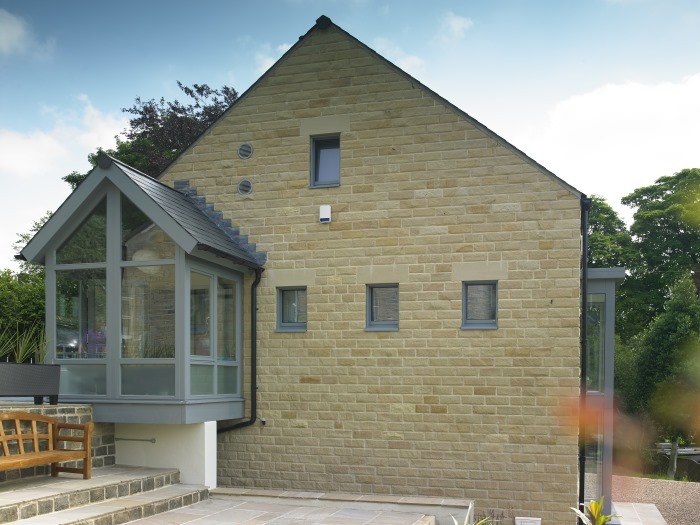 External Insulation – This can seem like the most simple option. There is potentially very little disruption and you are likely to be able to continue living there while the work is being carried out. You're cloaking the building, keeping it warm and dry and therefore less likely to suffer moisture problems. The biggest drawback is that it completely transforms the building architecturally, which may not be to yours or the planners liking. In terraced houses you can end up with cold bridges left over through party walls. Internal Wall Insulation – This has the benefit that it does not have an impact externally so there aren't the same planning issues as above. There will be far greater disruption inside however and possibly not be in a livable state. The process can be quite slow and be impacted by various pipes, electrics and other services. There are also cold bridge issues when getting to things like window junctions. 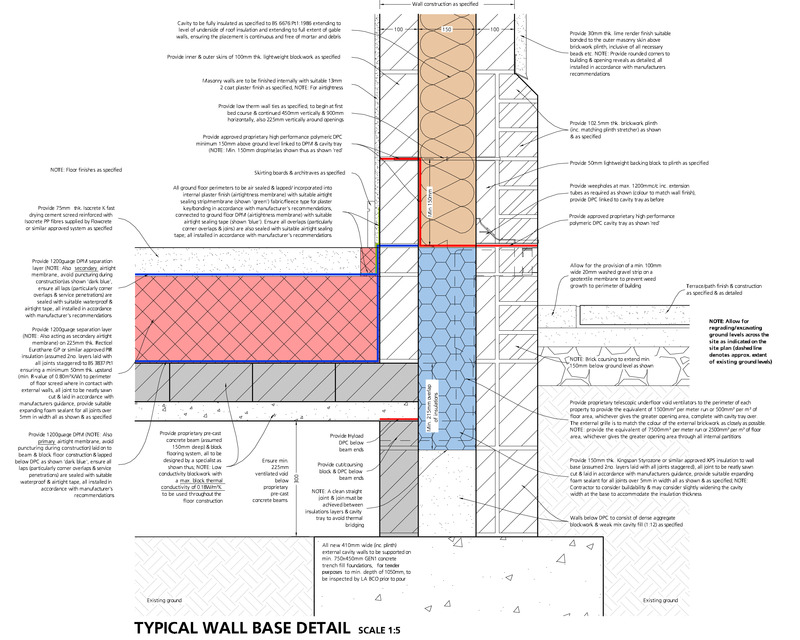 Cavity Wall Insulation – If you have cavity walls then filling them can be a good option. 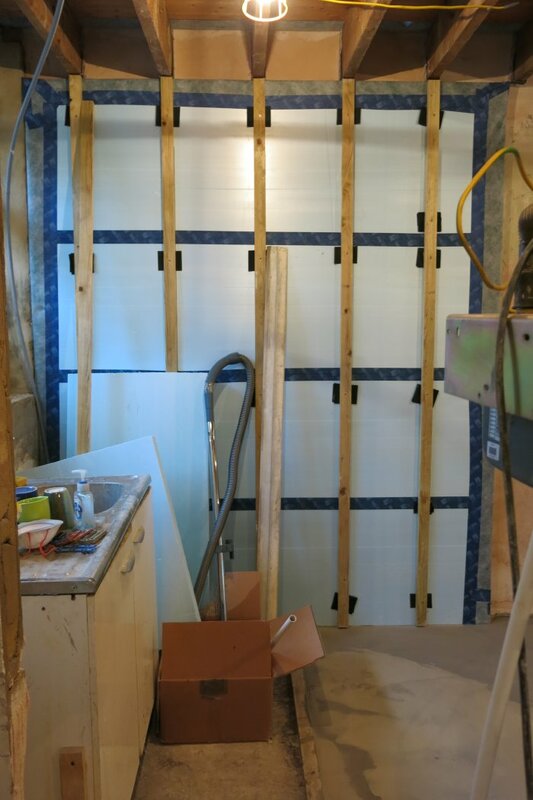 Bob however advises caution and not always accepting the claims of the installer that it is suitable for the wall, without following up with further questioning. There may be some situations, such as bad pointing or a coastal property with porous bricks, where it might not be an appropriate choice. This was one of Prewett Bizley Architects' first deep retrofit projects. The client wanted excellence and was prepared to pay to achieve it. 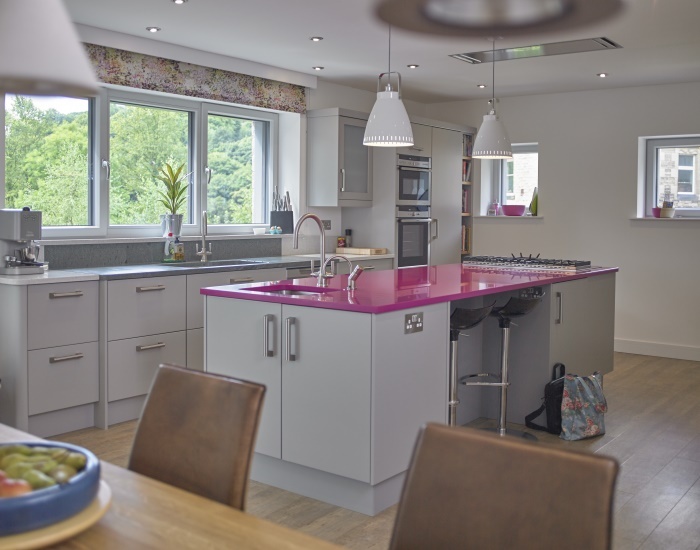 During the closing stages of the project, in an extremely hostile winter and before the heating system had been commissioned, Bob would visit the house which maintained a temperature of around 18 degrees. Even though the systems weren't all running, he was struck by the quality of the environment. Even leaving aside the benefits of energy efficiency, it was the feeling of the house that made a huge and defining impact on him and was the reason why they continue doing these kinds of projects. Download a transcript of the interview with Bob Prewett. 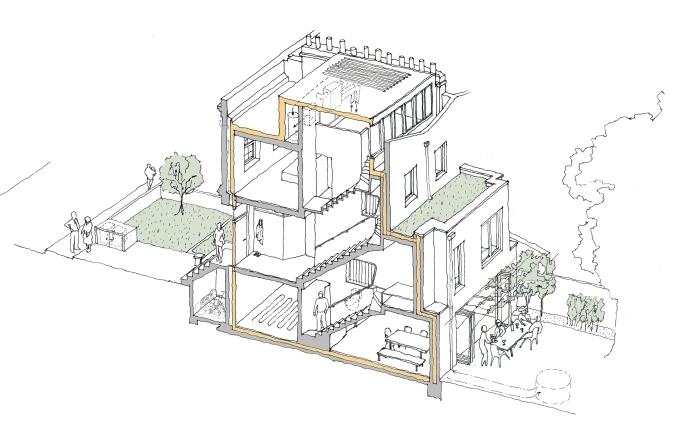 As Bob Prewett explains, it's really about the feel of the house and the quality of the environment, which is why the International Passive House Days are the ideal opportunity to experience it for yourself. 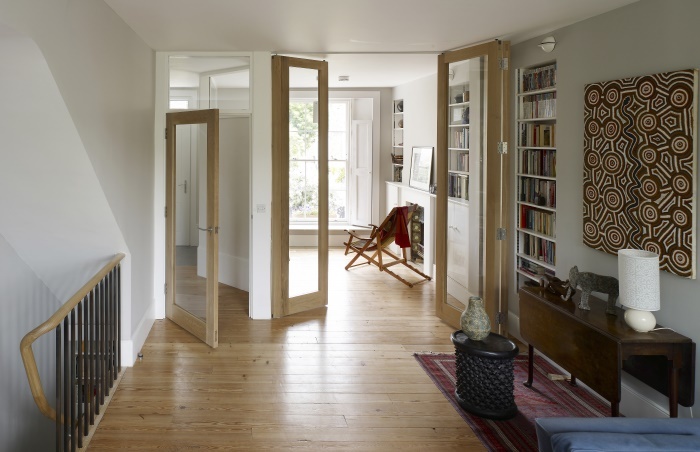 Each year Passive House residents fling open their doors and invite people in to have a look around and ask questions. This year they will be taking place around the world on 13-15 November 2015. Keep an eye on the International Passive House Association website to find out which buildings near you will be open to view.